A century ago, the world burned. Even now, though rebuilt and defiant, civilization is still choking on the ashes. Jackson, a smuggler, lives in the shadows, once a boy with no memory, no name, and no future. Ravens followed him, long-extinct birds only he could see, and nightmares flew in their wake. Once, Jackson thought himself to be one of the lucky few touched by magic, a candidate for the Order of Mages. He is a man now, and that dream has died. But, the ravens still follow. The nightmares still whisper in his ear. Anna’s life was under the sun, her future bright, her scientific work promising. She knew nothing of The Bombings, the poisoned world, or the occult. One day, she went to work, and the next, she awoke in a box over a hundred years in the future, screaming, fighting to breathe, and looking up into the eyes of a smuggler. Anna fears she’s gone crazy, unable to fill the massive hole in her memories, and terrified of the strange abilities she now possesses. The Coalition government has turned its watchful eyes towards them. The secret factions of the city move to collect them first. And, old gods stir in the darkness, shifting their pawns on the playing field. If Anna and Jackson wish to stay free, they must learn what they are and why they exist. Unfortunately, even if they do, it may be too late. 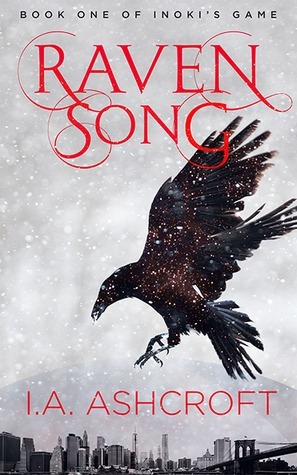 Raven Song is the first of a four book adult-oriented dystopian fantasy series, a story of intrigue, love, violence, and the old spirits in the shadows who wait for us to notice them again. Readers of Neil Gaiman, Holly Black, and Charlie Human will enjoy this dark magic-laced tale rooted on the bones of what our world could become. ​I. A. Ashcroft has been writing fiction in many forms for almost twenty years. The author's first book, written at age seven, featured the family cat hunting an evil sorceress alongside dragons and eagles. This preoccupation with the fantastical has not changed in the slightest. Now, the author dwells in Phoenix, AZ alongside a wonderful tale-spinner and two increasingly deranged cats. Ashcroft writes almost exclusively in the realm of darker fantasy these days, loving to entertain adults with stories of magic, wonder, despair, violence, and hope, bringing a deep love of mythology into every tale penned. The author also loves diverse and intriguing casts of characters. When not buried in a book, one might find Ashcroft learning languages, charting road trips, and playing tabletop RPGs with clever and fun people. I was really excited when I had the opportunity to receive a copy of this book in order to review it. It looked really interesting, new, and engaging. And it was! A more exact star review is 3.9 stars out of 5. If you are a world-building/plot reader, then you will probably really really like this book. I.A. Ashcroft did a really good job building the futuristic society and world where the story takes place, and it is done in a way where the details are meted out over a length of time instead of all at once, which is really appreciated. Another thing that stood out to me was that the action started right away- you jump right in, head first, not knowing how deep the water is. And because of some of the aspects of the book (sorry- not gonna spoil! ), it worked really well. The reader is thrust into this world that is similar to ours, yet everything is different, and is taken on a journey that you can't predict the answer too. 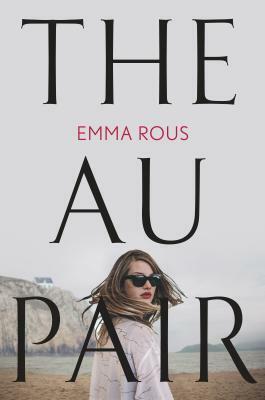 The reader discovers along with the characters, causing the story to be surprising and eventful and captivating. I'm not sure when the next book of the series will be out, but I will definitely be keeping an eye out for it! I.A. Ashcroft has a spectacular world here to play around in, and I am 99% sure that he will, which is good news for us readers.